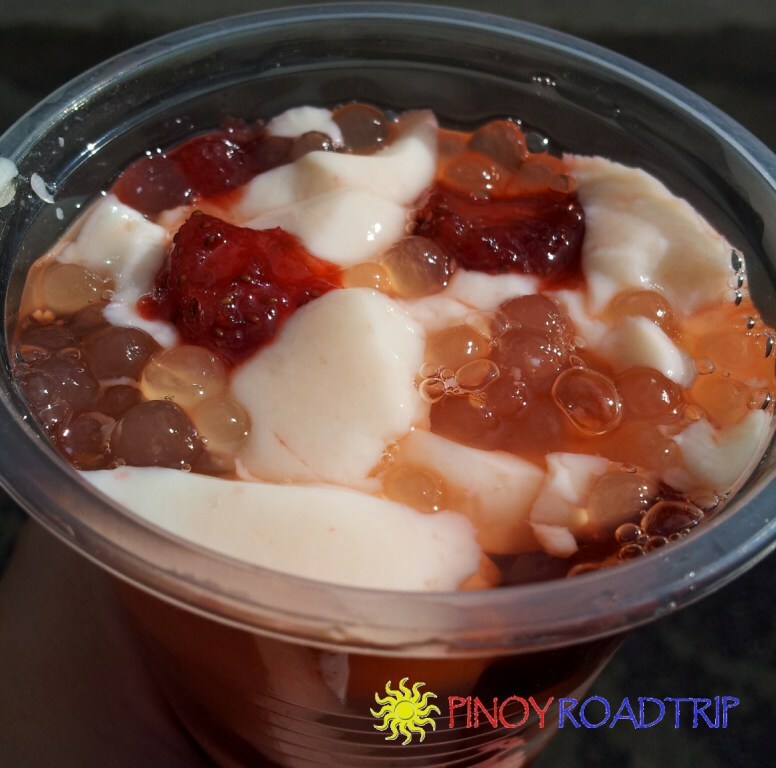 Taho is a Filipino snack in a cup composed of slices of soft soya bean curd or tofu and tapioca pearls, topped with sweet brown syrup. 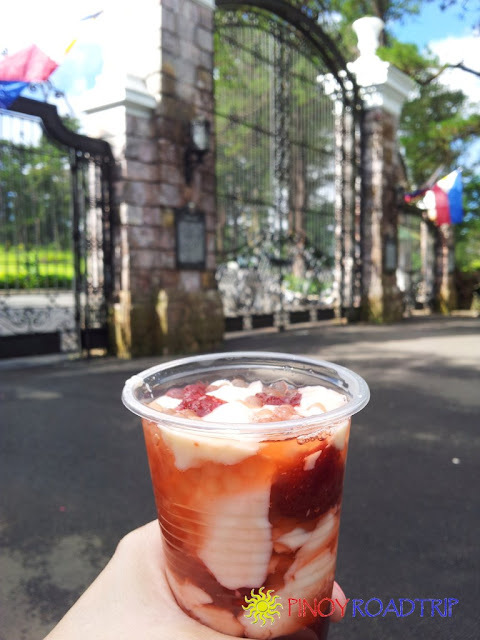 In Baguio, they made a variation of the ordinary taho and used strawberry syrup and called it strawberry taho. 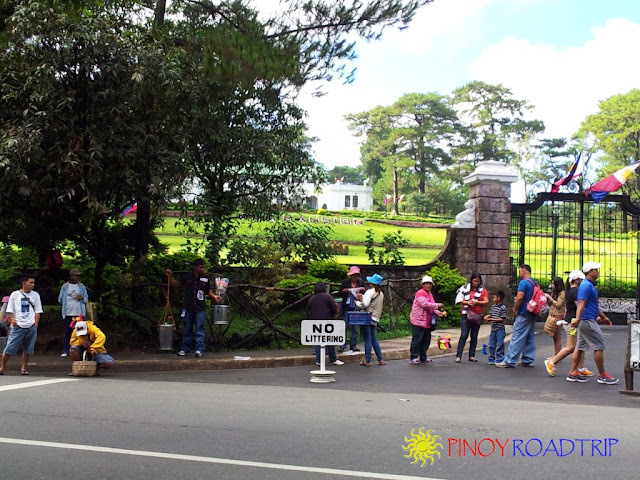 I encountered two kinds of strawberry taho being sold in Baguio. The more common one is simply made with strawberry syrup instead of brown syrup. We found it being sold at Mines View Park and Pink Sisters Convent. 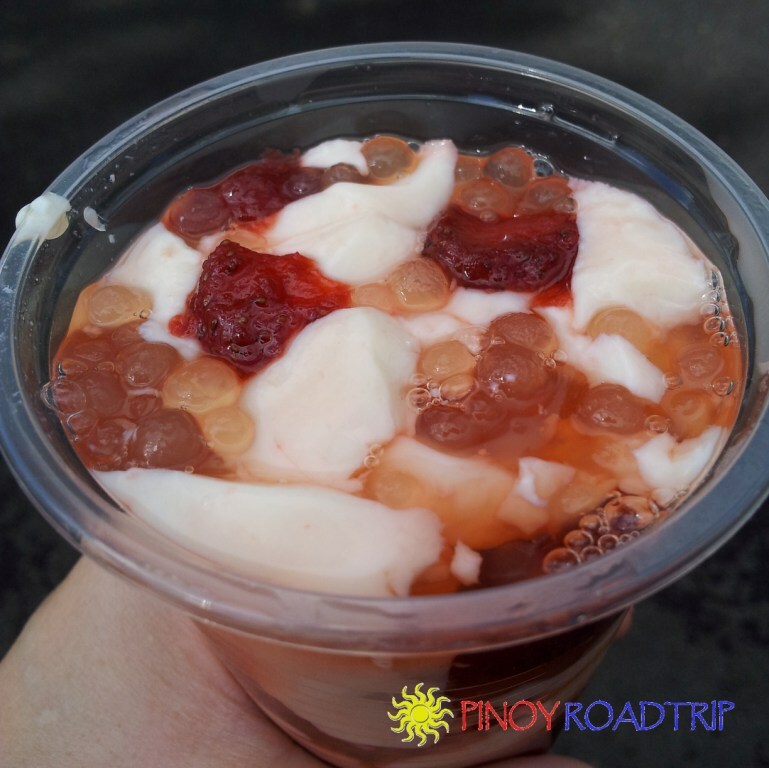 This the strawberry taho we ate at Mines View Park. The other kind of strawberry taho had chunks of strawberry in it. I found it being sold in front of Mansion house after a run at the Mansion oval. This is what a real strawberry taho should be, with chunks of strawberry in it and not just strawberry syrup. This costs 20 pesos, the same as the other one. Where is the best strawberry taho located? 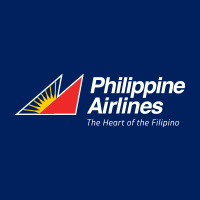 Note: I was able to see at least one of them at 6:00 AM, 12:00 PM and 1:00 PM. They disappear for lunch from 12:00 PM-1:00 PM. This is me eating strawberry taho in front of the Mansion House.